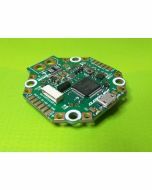 The Seriously Pro Racing NEO OSD/VTX board is an On-Screen Display (OSD) combined with a 25/200mW switchable 40 Channel Video Transmitter (VTX) designed to stack with the NEO FC/PDB board. All the video signals are kept well away from any power sources on the FC/PDB. The VTX can be off-by-default and later turned on using a spare AUX channel. The VTX channel, band and power is displayed on the OSD along with the pilot's name (callsign), battery voltage, amperage, mAh used and other configurable OSD elements. There is a side-press button, on the on the same edge as the USB socket on the NEO below it, that allows you to change VTX channel, Band, RF power, etc. When you combine a NEO FC/PDB and NEO OSD/VTX all you need is a frame, camera, antenna, receiver, 4 escs, 4 motors and a battery and you're ready to fly! It's so simple we'll all be wondering why it wasn't done like this sooner! * OSD with customisable layout. * VTX with 0/25/200mw output. * 40 Channels, with raceband. * Button for changing VTX channel/band/rf power/power/etc. * Configurable via cleanflight configurator, via the NEO USB socket. 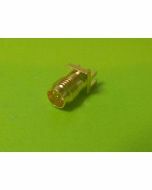 * U.FL socket for antenna connection, gold plated. * Display of amperage/current, voltage, RSSI, flight modes, on duration, armed duration, 5v, 12v, callsign, motors, etc. 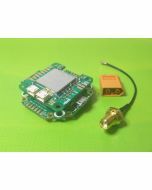 * Available without VTX module, so users can use external VTX or alternative compatible VTX modules. * VTX can be turned off remotely (e.g via transmitter). Great for team races or in-pit configuration. * Solder pads for 5V, 5V switched, 3.3V, 12V, Video IN/OUT, Audio, GND. * Breakout 2.54mm pitch though-holes for connecting to UART1 on the NEO - e.g. for Bluetooth/Wifi modules. 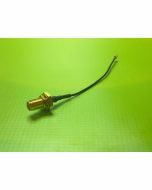 * Picoplade connector for no-solder connection to external VTX, with 12V/VIDEO/AUDIO/5V switched/GND signals. * 2.54mm Through hole pads for connecting Buzzer (controlled via NEO). * 2.54mm Through hole pads for connecting 12V devices. * Though hole pads for JST-ZH sockets (supplied) connecting CAMERA an EXTERNAL VTX boards. 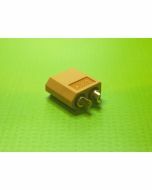 * Solder pads for PCB side-mount antenna JACK connection (when not using U.FL connector). * CAMERA and EXTERNAL VTX sockets power selectable between 5V and 12V. * Hole for accessing the boot button (via paperclip) on the NEO below it. 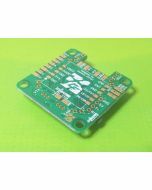 * Board is 36x36mm with standard 30.5mm mounting holes. * 12 position connector for stacking above the NEO. * Blue LED for 3v3 power. * 2x3 pin JST-ZH connectors. * 1x3 pin JST-ZH cable. NOTE: For maximum video transmitter efficiency when purchasing an antenna look for one with a low VSWR/SWR rating - as close to 1.0 as possible. !! REMEMBER TO ADD YOUR PIGTAIL CABLE OR JACK CONNECTOR ! !